From the philosophy of mind and language, through physics and mathematics, to the philosophy of the human sciences, morality and religion, there is almost no area of philosophy to which Hilary Putnam has not made highly original and influential contributions. This wide-ranging collection of papers provides a critical assessment and exploration of Putnam's Seminal Work. Written by Philosophers themselves well known for their work in the field, each essay bears witness to the continuing influence and importance of Putnam's thought. 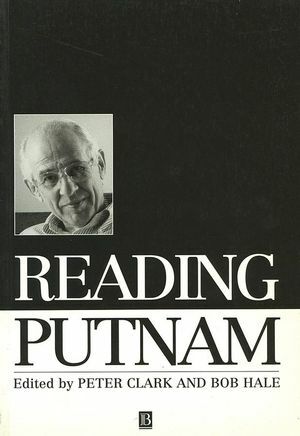 Putnam's reply constitutes an extensive new essay which clarifies, and develops further, central themes in his philosophy. This volume includes papers by Simon Blackburn, George Boolos, Michael Hallett, Michael Redhead, Thomas Ricketts, David Wiggins and Crispin Wright. Hilary Putnam is Pearson Professor of Modern Mathematics and Mathametical Logic in the Department of Philosophy at Harvard University. Putnam has written extensively on the philosophy of mathematics, philosophy of natureal science, philosophy of language, and the philosophy of mind. The most recent publications is Pragmatism: An Open Question (Blackwell Publishers, 1995). Peter Clark is Senior Lecturer in Philosophy at the University of St Andrews, Scotland. He co-edited Mind, Psychoanalysis and Science. Bob Hale is Professor of Logic and Metaphysics at Glasgow University, Scotland. He is the author of Abstract Objects. Introduction: Peter Clark and Bob Hale. 1. Enchanting Views: Simon Blackburn. 3. Wittgenstein on Necessity: Some Reflections: Michael Dummett. 4. Putnam and the Skolem Paradox: Michael Hallett. 5. Reliability, Realism and Relativism: Kevin Kelly, Cory Juhl and Clark Glymour. 6. Logic, Quanta and the Two-slit Experiemnt. 7. Carnap's Principle of Tolerance, Empiricism, and Conventionalism: Thomas Ricketts. 8. Putnam's Doctrine of Natural Kind Words and Frege's Doctrines of Sense, Reference, and Extension: Can They Cohere? : David Wiggins. 9. On Putnam's Proof that We Are Not Brains in a Vat: Crispin Wright. 10. Comments and Replies: Hilary Putnam. Select Bibliography of the Publications of Hiliary Putnam. Includes extensive replies by Putnam to each essay.